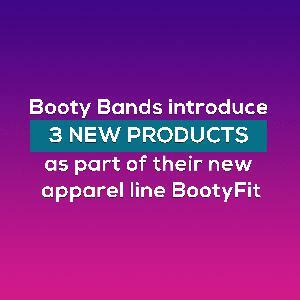 CARLSBAD, CALIFORNIA, UNITED STATES, June 28, 2018 /EINPresswire.com/ -- California: Booty Bands, a program dedicated to helping women become better versions of themselves through building more self-love, has gone ahead and introduced their new apparel line - BootyFit. As part of the new line which will include Booty Accentuating leggings, a comfy scrunch sports bra and the hottest piece of clothing in the summer will be a one piece monokini bikini that has eight ways that you can wear it! The 2nd item on the list is the sports bra which is made of light, breathable and supportive fabric. The overall look and feel of the bra has been described as comfortable to wear and not at all restrictive - something most women would love to have as part of their workout clothes because comfort is the considered as a top priority as far as gym attire is concerned.